Long Beach State saw their season end to UC Irvine last weekend in the second round of the Big West tournament. The end marked a season full of ups and downs, as well as an emotional goodbye to a loaded senior class. After winning the last five games of their regular season, Long Beach State entered tournament play as hot as anyone. A first-round matchup with Hawaii featured a game-winner, seemingly adding to the incredible momentum the team had already created. However, after hanging with the top-ranked Anteaters for most of the game, the 49ers fell short. An 11-0 Irvine run spelled doom for the Beach, ending the year on a sour note. For a team who once sat at 9-16 to finish 15-19 left a feeling of emptiness. With a large portion of the team graduating, Incompletion was the common emotion felt in the locker room. Seniors Deishuan Booker, Temidayo Yussif, K.J. Byers. Mason Riggins and Bryan Alberts all gave the program a great run at the end of the year. In a year which felt like another middle of the pack Big West run, the 49ers began to create a new culture. Outside of injuries and one terrible losing streak, Long Beach State created an identity for themselves, soothing over the supposed “passing of the baton” to the incoming class. Next year’s class will feature four freshmen and one junior college transfer as the Beach looks to get back to this point of the season. Forward Jordan Roberts and guards Drew Cobb and Edon Maxhuni will all return next season as the longest tenured 49ers. Next season will present huge question marks such as scoring and front court play. Losing four of the top scorers for the Beach will hurt. Even more so will losing three important frontcourt players in Yussif, Riggins, and Byers. Coach Dan Monson will have his work cut out for him. However, a promising new class will look to build upon the culture created before them. 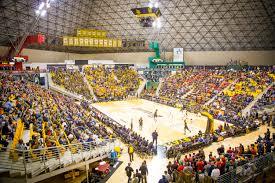 More importantly, they will strive to bring a winning attitude back to Long Beach State basketball.